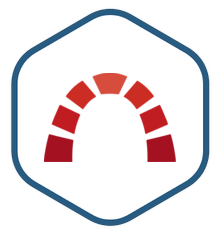 Redmine image is secure, up-to-date, and pre-configured to work out of the box. Redmine is a popular open source project management and issue tracking platform that covers multiple projects and subprojects, each with its own set of users and tools, from the same place. Redmine is a powerful project management and issue tracking platform that enables teams to manage multiple projects from the same place. It is completely free and open source, yet includes many of the same features found in enterprise project management and bug tracking tools. With Redmine, individual projects can be tracked separately with their own Gantt charts, wikis, calendars, forums, and more. The application integrates with the most popular version control software such as Git and Mercurial, making it possible to automatically update and report on progress towards software development goals and milestones for multiple teams. Features such as LDAP user access management, multiple database support, and multi-language capability make Redmine one of the most flexible project management platforms available. Manage and track multiple projects, with a separate document manager, wiki, calendar, Gantt charts, forums, and time tracking for each one. Create custom fields by project for bugs, time tracking, and users. Feeds and email notifications keep everyone on the same page. News and announcements can be pushed to all or a subset of users, and new issues can be created and updated via email. Themes enable customization with an organization's branding and color scheme, and a large community of developers contributes plugins and tools to integrate Redmine with existing tools and workflows.